Invasive plants are quite the topic of conversation and concern among botanists and horticulturists across the country. 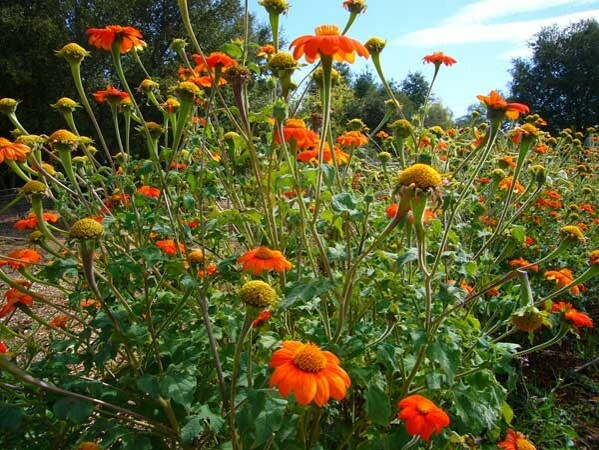 So much so that through a 2017 Farm Bill grant, four botanic gardens across the nation participated in a trial to evaluate a total of 200 plants for their invasiveness. These gardens used a tool and database called PRE™, which stands for Plant Risk Evaluator. PRE is a tool for determining a plant’s potential for becoming invasive in any specific region. BRIT and the Fort Worth Botanic Garden collaborated to evaluate 50 plant species in Texas. Invasive plants are non-native plants that can spread on their own and can cause or are likely to cause environmental and/or economic harm. 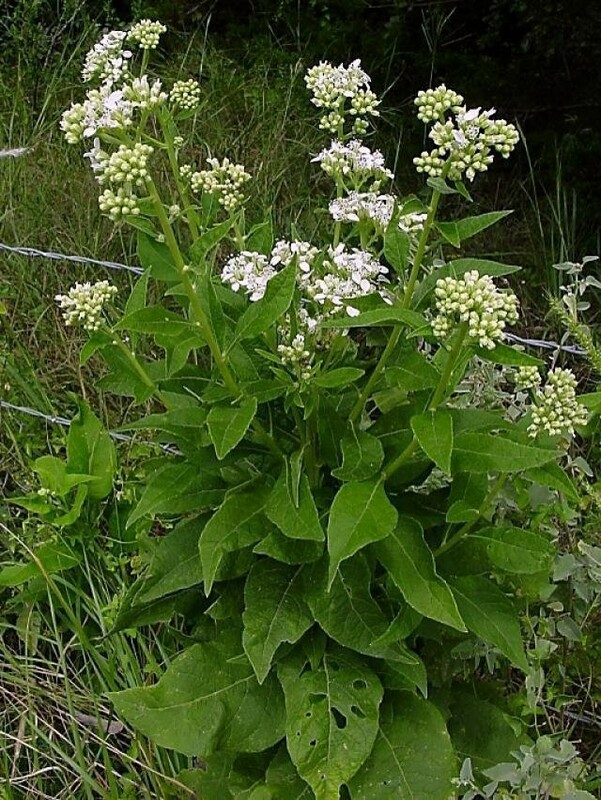 A high percentage of invasive plants in the U.S. are of horticultural origin. Many of these invaders were introduced decades ago as ornamental landscape plants or as plants that served a particular purpose, such as to control erosion, to conserve water, or to grow quickly. No one could have imagined the costly damage that invasive plants would cause and the threat they would be to native species. Today we know better because we understand the adverse impacts invasive plants can have on wild lands, waterways, native species, and taxpayers’ wallets. We also benefit from recent advances in plant screening technology that can predict plant behavior in a given region. The PRE tool allows for highly accurate (95%) predictions specifically tailored to horticultural plants. PRE is a 20-question, plant risk assessment tool as well as an online platform and database enabling those involved in non-native, terrestrial plant production to know before they grow if a plant poses a potential regional invasive risk. Visit the PRE website (https://pre.ice/ucdavis.edu/) to explore the database already compiled on certain plants. 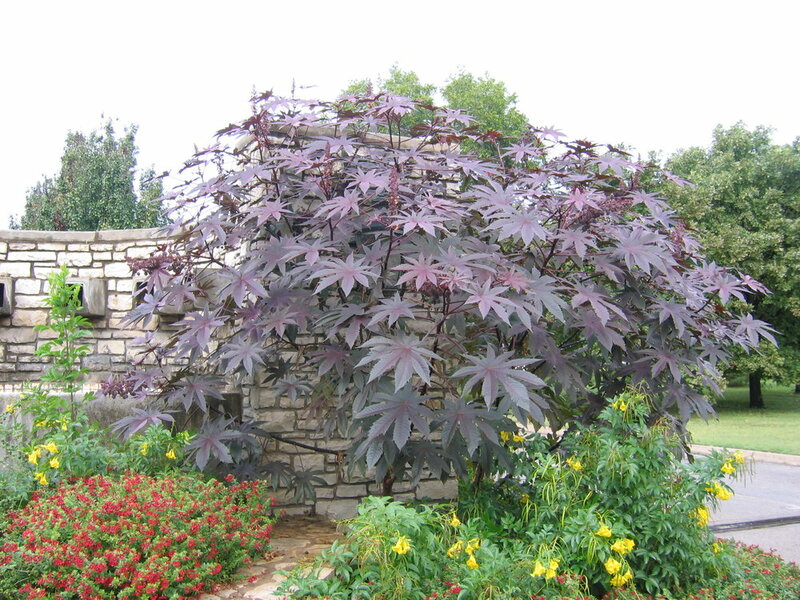 At the Fort Worth Botanic Garden, Zach Gomez collaborated with BRIT by using the PRE tool to predict or to confirm the invasiveness of certain plants within the botanic garden. He presented his findings at the August 2017 Texas Nursery and Landscape Association convention in Dallas as well as at the annual gathering of the Texas Association of Botanic Gardens and Arboreta ( TABGA) in February 2018 in Weatherford. To view, the 2017 species scores click HERE. Most people don't realize fall is one of the best time to give your yard a new look. Steve Huddleston the Senior Horticulturest here at the Botanic Garden gave us his top 10 reasons to plant in the fall. Plants establish much better if planted in the fall. Because our soil doesn’t freeze during the winter, roots continue growing during the winter. Plants have fall, winter, and spring to establish before hot weather arrives. Fall-planted plants, therefore, have as much of a six-month advantage over spring-planted plants. Fall-planted plants are in a better position to withstand the heat and drought of the following summer than spring-planted plants. There’s more natural rainfall in fall and winter to establish your plants. When you purchase trees in the fall, you can see their fall color and decide which colors you want in your landscape. Texas Arbor Day is November 1. This is the best time to plant trees. Plants and trees store “energy” in the fall/winter because they do not focus on top growth. This allows the tree or shrub to hit the ground running in the spring. For further growth, you can fertilize your newly-planted trees and shrubs which will produce robust growth in spring. The crisp, cool air of fall makes for an enjoyable, leisurely experience working in the garden. Don't forget to stop by our Fall Plant Sale Plant Sale Open to the Public October 6th 2:00 to 6:30 pm and October 7th 9:00 am to 2:00 pm. The monarchs are coming! What should I do? Plant fall-blooming nectar flowers! Migrating monarch butterflies have begun arriving in Texas. These butterflies are seeking nectar to fuel their flight to Mexico and to sustain them over the winter. You may be growing some nectar-rich flowers, but plant more, especially those blooming now to the first frost. Find them at nurseries offering native flowers, or come to the Native Plant Society of Texas Plant Sale September 30 or the Fort Worth Botanic Garden Plant Sale October 6 & 7. Here are a few to look out for. The monarchs will thank you! 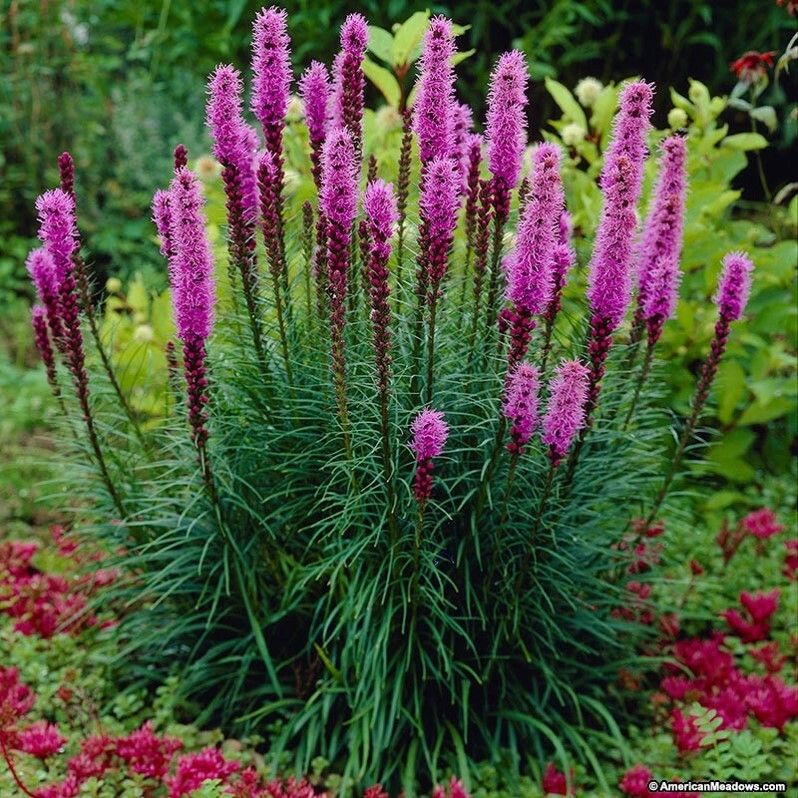 Blazing Star, Gayfeather. Liastris spp. Every year our dedicated greenhouse staff works very hard to grow over 3,000 different varieties of poinsettias. These poinsettias are used to decorate the Garden Center and offices throughout the Garden. The poinsettias will be up until December 27th, but here is a insiders look at all the amazing poinsettias at the Garden Center. Above: One of the many Christmas Trees located in the Garden Center. Left: a look down the main hallway in the Garden Center. The red glitter poinsettia pictured above and to the side is my personal favorite. No two flowers are alike, some have a striped look with red and white, others are red with white dots. No matter what the pattern is, it is always beautiful. Above: Joyce holds a Marble poinsettia. Above: Prestige, Marble, and Aggie poinsettia. These large poinsettias are achieved by what is called pinching. Each flower is its own plant, all other flowers are pinched off when they are small that way all the energy goes to build one large flower. Pictured Below: the pink peppermint poinsettia is mostly pink but has red dots sprinkled over the petals. The Holly Berry poinsettia gives a twist to the classic by added beautiful variegated leaf. It is a beautiful way to add a little something new to any classic Christmas scene. Pictures Above: Agnes holds a Pink Ice Punch Poinsettia named for the pink stripe in the middle of the red petal. Also pictured is Marian Pink and Peter Star White Poinsettia. Pictured Above: a close up on a Peter White poinsettia, unlike other "White" poinsettias that give more of a yellow tone, the Peter White poinsettia is considered a true white. The main display in the Garden Center this year is our Christmas Train. In the Japanese Garden we have more maples then we can count. In early November there are a few that quickly take the leap to red but most of them are a beautiful yellow-green. The pictures below were taken in the first weeks of November. By mid November the Garden is filled with reds, oranges and yellows. Then we reach peak week. The date fluctuates from year to year, we need warm days and cold nights. In the last few years peak week has landed on Thanksgiving weekend. Lake Arbor small wedding venue. The color winds down over the next few weeks. The color technically lasts until mid December. The pictures below were taken on December 5th 2014. Visit the Japanese Garden Facebook for weekly updates on the fall color #FallColorUpdate. October is here, and with it comes hints of Fall. In the Garden we take this chance to plant mums throughout, with 650 of them planted at the front of the Garden and in the Garden Center. According to our Senior Horticulturalist Steve Huddleston "Mums are the perfect fall plant, with a 2-3 week bloom time. They can be used as decorations or to give the yard extra color, and they come in perfect fall colors: orange, red, and yellow." The fall display in the Garden Center made of potted mums, ornamental peppers and pumpkins is a beautiful example of how to make a display using mums. Large Mums are placed in pots and placed through out the Japanese Garden. Its a great way to add color to the Garden before the fall color starts. Mums are one of our most popular plants at Plant Sale (Oct 9th 2-7pm and Oct 10th 9am-2pm) we always have a wide range of color from burgundy to white. They are a perennial but in order to get them to bloom in the fall the buds must be pinched until July 15. Not everyone knows that a Begonia Collection and Species Bank resides in the Botanic Garden. It is so large it takes 3 green houses to cover all of the begonias. With over 350 species the Begonia Collection is quite a large task to take care of. Lucky we have Debbie Garret and her group of volunteers to watch over and expand it. These past months Debbie has been working extra hard and last month it all paid off. The Begonia Collection is now accredited by the North American Plant Collections Consortium, it is the only Begonia Collection in the NAPCC and the only collection in Texas to be accredited by them. The main Begonia Collection is open to visitors from 8-4.